Someone Bought This: Freshen up your stinky car with a WCW Air Freshener or two - WrestleCrap - The Very Worst of Pro Wrestling! 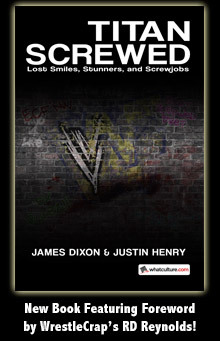 My old buddy, and my old pal Matt over at Dinosaur Dracula took another one of his amazing TRIPS… to the $.99 store! 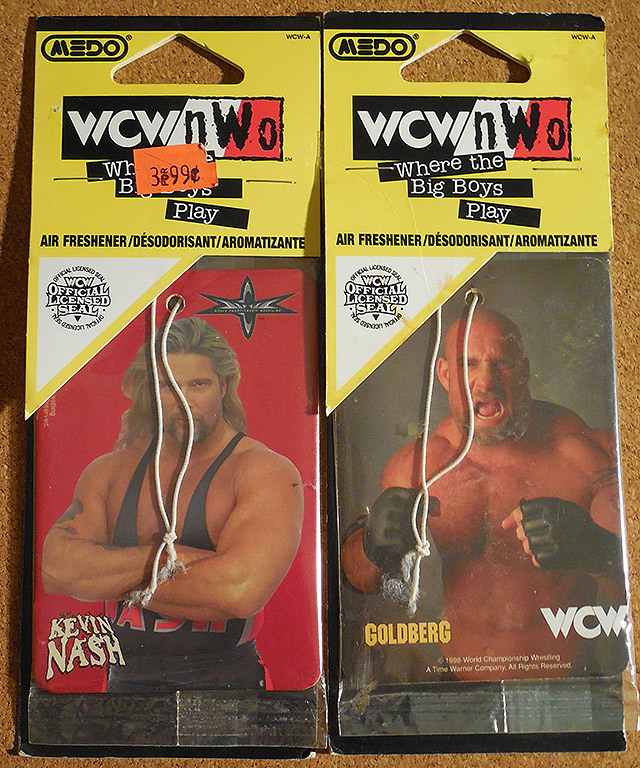 As always, he found a whole bunch of neat stuff well worth checking out, including these Bill Goldberg and Kevin Nash WCW air fresheners. Look! They have the “Official WCW Licensed Seal”. Aw man… Now I want an air freshener of a cute little seal wearing a WCW hat. P.S- Contrary to rumors, the Kevin Nash air freshener does not in fact snap in half the instant you hang it on your car’s rear-view mirror. 12 Responses to "Someone Bought This: Freshen up your stinky car with a WCW Air Freshener or two"
Do I really want my car to smell like Nash or Goldberg? Who would smell better – Nash, Goldberg or the seal? I have an Undertaker air freshener lying around here somewhere. Sooo, they smell like a mixture of body oil, sweat and ring rats? Hee Hee Hee the irony cause Kevin Nash stinks. And you have to be careful with Goldberg since he may break your window. Would your vehicle break down as often as Kevin Nash ? They made WWF ones as well. I had some (well, in my Mom’s car) of Taker, Austin, and the WWF Attitude logo. 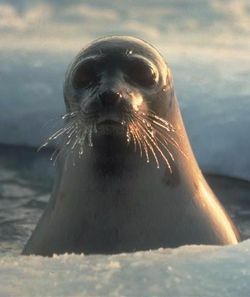 That seal looks like Goldberg aka Ol’ Whisker Biscuits. Anyway hope they dion’t smell as bad as Nitro cologne. For that fresh, “long night at the local bar” smell….. Kevin Nash air fresheners.